Is my umbrella company ignoring Agency Workers Regulations? Contractors’ Questions: Is my umbrella company ignoring the AWR? 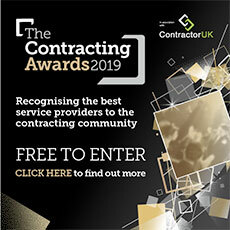 Contractor’s Question: What options are there for me, a skilled IT contractor, in the light of the Agency Workers Regulations, which are due to come into force on October 1st, 2011? I’d like to continue using my umbrella company but they are declining to tell me how, if at all, their services will change post-October 1st. So should I be concerned if the umbrella company continues not to tell me their position in relation to the AWR? Expert’s Answer: To understand AWR, you must understand the core principle behind it – ensuring temporary or agency workers have access to the same basic pay and conditions as their permanent equivalent. Highly-skilled professional contractors are not exploited or vulnerable, and have always earned more than their permanent counterparts, so compliance within this segment of the market will be less problematic. The legislation itself says more than the AWR guidance published last month, and it is clear that there will, in broad terms, be three options for highly-skilled freelancers and contractors. Firstly, a compliant ‘Swedish Derogation’ approach, involving work via a company offering full employment and pay between assignments for the contractor. In our view, the Swedish Derogation approach is not a ‘golden ticket’ and as many within the sector have concluded, will not solve every issue, but it may be appropriate in certain circumstances. Second, work via a company offering a ‘match permanent pay’ model with full employment rights. This model of working – with full employment rights - is similar to the current way of working using an umbrella company, where the umbrella confirms that comparative pay elements are at least equal to or greater than the comparative permanent employee. Under the AWR, a hirer will provide an agency, which will in turn provide the umbrella company with the required comparative pay data – which essentially consists of salary, overtime and holiday entitlements. Third, contractors may choose to work via their own limited company. Obviously, the ability for workers to be engaged and paid directly via a recruitment business will remain, subject to the recruitment business implementing either a compliant Swedish Derogation or ‘match permanent pay’ approach. Of course by October 1st, all service providers should be able to inform contractors, when requested, what their AWR position is. Many will not have this position fully clarified yet – and given we are still some months away from the AWR entering into force, this is not surprising - but sector leaders and responsible staffing companies have been giving this issue very careful consideration for some time. As a contractor, ask your service provider whether they are looking at issues arising from the AWR – if there is little evidence of them having done so, this should be a concern. The expert was Stuart Davis, chairman of the Freelancer and Contractor Services Association.